We'll make your FR44 non owner insurance filing quick and easy. Start a quote for a low FR44 rate or call today. People in Florida and Virginia who don’t own a vehicle must file an FR44 non owner insurance certificate for license reinstatement after a DUI suspension. The FR44 certificate will be attached to a non owner insurance policy and filed with the state DMV. This insurance protects you against liability claims if you’re at fault in an accident while driving a non-owned vehicle. FR44 non owner insurance is a financial responsibility form required for license reinstatement if you don’t own a vehicle. It is sometimes called named driver insurance or non driver FR44 insurance. Virginia and Florida are the only states that require an FR44 high risk insurance certificate to be filed specifically in cases involving DUI convictions. UltraCar Insurance is licensed in Florida and Virginia as a provider of non owner FR44 insurance, and is ready to file your certificate with the state DMV. How does FR44 non owner insurance work? If your driver’s license is suspended and you don’t own a vehicle, filing a non owner FR44 certificate is required in order to drive legally during your license suspension period, once you become eligible for license reinstatement. First, contact a Florida or Virginia FR44 insurance provider. Individual requirements will vary according to the seriousness of the offense. A licensed, experienced insurance provider like UltraCar Insurance will be able to help you understand your particular requirements, provide a quote for the lowest rate possible and file your certificate. The state will inform you of the duration of your license suspension, and you’ll have to carry FR44 non owner insurance during that time, without lapsing. If you don’t keep the policy in force, your insurance provider is required to contact the state, resulting in re-suspension of your license. What does FR44 non owner insurance cover? FR44 non owner insurance is a certificate attached to a non owner insurance policy. It provides liability only coverage. It is secondary insurance, which means that if you’re driving a borrowed vehicle and cause an accident, your FR44 insurance coverage pays claims that exceed the coverage limits of the insurance on the vehicle (up to the limit of the non owner FR44 policy). FR44 is limited liability coverage. It only covers personal injury and/or property damage claims of the other party in the accident. What FR44 non owner insurance does not cover is injury to you or your passengers, or damage to the car you’re driving. Therefore, before you drive any vehicle you must have permission to drive it, and you must confirm that the vehicle is insured by the owner. See Non Owner FR44 to see other limitations of non owner insurance policies. What is the cost of FR44 non owner insurance? There are usually a number of fines, fees and sometimes program costs associated with a DUI violation that you’ll pay to the state of Florida or Virginia. Your premiums for FR44 non owner insurance will be quite a bit more because of the higher minimum liability coverage required. Your provider will charge a fee to file your certificate. As far as your premium payments, this will vary depending on your age, where you live, your driving record, any claims history and the current charge for which you’re filing an FR44 certificate. For information related to FR44 non owner insurance, see our Florida FR44 Insurance and Virginia SR22 FR44 Insurance pages including the articles at the bottom of these pages. You can find details on the Florida DHSMV website about Florida DUI and Administrative Suspension Laws and on the Virginia DMV website about Virginia Driver’s License Reinstatement. What is a non owner policy? 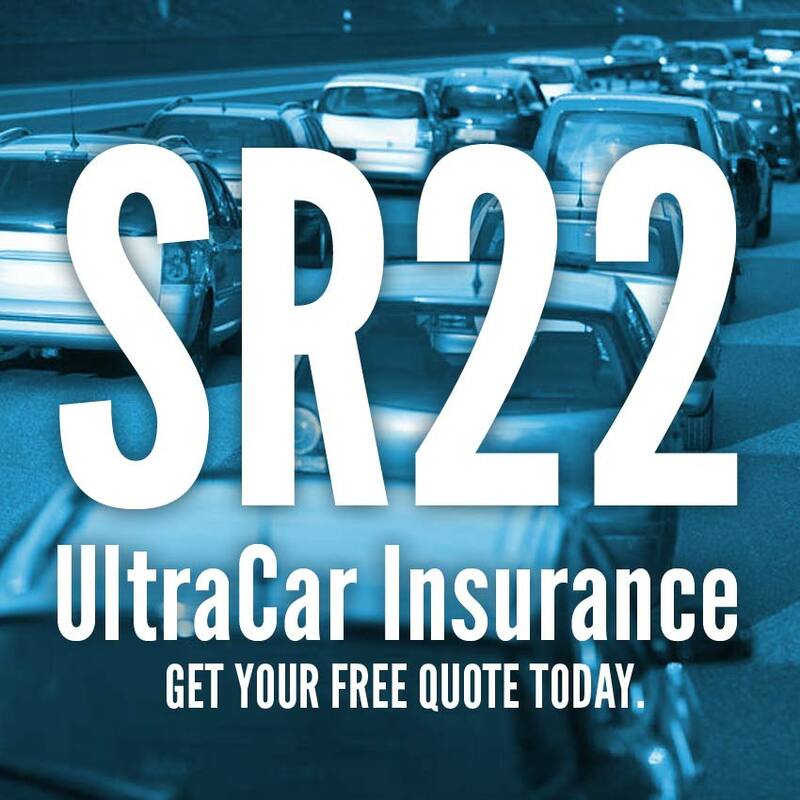 What’s the difference between SR22 and FR44 insurance? UltraCar Insurance is ready to assist you with FR44 non owner insurance quotes and filing or renewal of your FR44 certificate. Start your online quote now, or talk with one of our agents if you have questions about your FR44 insurance requirements.